Containing 50 capsules and 52 self-adhesive aluminum lids. You can bundle the Flow Pack in a kit with 250gr of coffee. 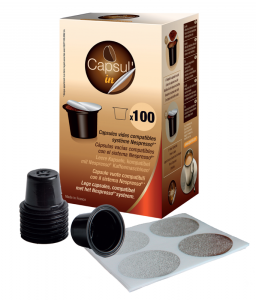 Each box contains two flow pack – so a total of 100 capsules and 104 auto-adhesive aluminum lids. Perfect for a nice presentation on the shelves of your shop. 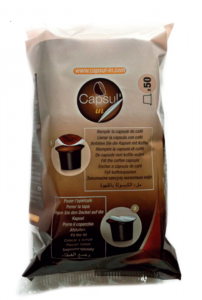 Capsul’in can be shipped anywhere in the world.